PeopleSoft Enterprise is a common enterprise software solution, however many organizations face environmental challenges that negatively impact the ROI for this system. Providing visibility, management, and control of business processes can help make implementing PeopleSoft Enterprise more efficient. 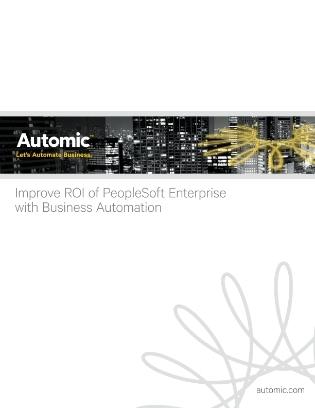 Access this white paper about a complimentary system that can help boost your ROI for PeopleSoft Enterprise by controlling your most mission critical business processes.